Get to know the fundamentals of nursing with this nursing textbook, which offers nursing students insightful case studies based on real-life situations that you are likely to encounter in a practical environment. 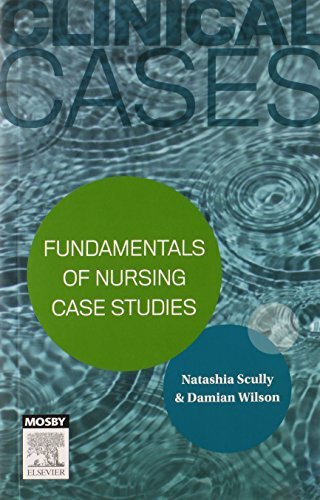 Benefit from Scully and Wilson’s Clinical Cases: Fundamentals of Nursing Case Studies nursing textbook, which has been written to assist with exam preparation and revision thanks to its collection of multiple choice questions and answers. Clinical Cases: Fundamentals of Nursing Case Studies is clearly structured to maximise your learning. Each case study begins with an introduction of the presenting condition and its symptoms. As the scenario develops, information concerning the patient’s condition, tests and medications are provided. At the close of each case study, the patient outcomes are explored in addition to a discussion of the most significant considerations of the scenario. 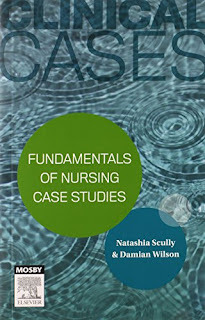 It is strongly recommended that nursing students enrolled in the Diploma and Bachelor Nursing courses use Fundamentals of Nursing Case Studies alongside Potter and Perry’s Fundamentals of Nursing, 4th Edition by Jackie Crisp, Catherine Taylor and Geraldine Rebeiro. This enables you to maximise your learning and develop a very strong understanding of core nursing concepts. • Clinical Cases: Medical-Surgical Nursing Case Studies by Janine Bothe.• Clinical Cases: Nursing Care Case Studies by Margaret Webb and Ellie Kirov. This book is also available as an App via the Apple App Store https://itunes.apple.com/au/app/clinical-cases-fundamentals/id620500072?mt=8 • Easy-to-understand, logical layout.• 24 case studies covering pertinent nursing topics, including Vital Signs, Skin Integrity, Medication Therapy and Pain Management.• Multiple choice questions to test your knowledge throughout the textbook.• Explanations provided for all answers.• References for further reading and research.• Designed as an exam preparation and revision tool.